Saw a really interesting article this morning in the San Jose Mercury News about Jive taking their company public. While I wish them all the luck in the world, I found the interesting detail to be in the Jive submission to the SEC. They plan to go out at $8 to $10 per share and raise nearly $575M. Great numbers! The not so great numbers were in the fact that in the first 9 months of the year, they lost nearly $40M. So extrapolating to the full year number, they'll lose nearly $55M for the year. Compare that to losing nearly $21M the year before, I'm still struggling to figure out where the money is in this Social Software for the Enterprise software business. In writing our book titled Reshaping Your Business with Web 2.0, we discussed some of these concepts and surprisingly not much has changed in the two years. The missing piece of information is that customers are not looking for a Facebook for the Enterprise. They don't want another destination that distracts their workers from getting their jobs done. Yes, it is helpful to built a sense of community within a company or organization. However, why wouldn't a company just sponsor a LinkedIn or Facebook community to allow this type of interaction. Within most organizations, they are looking to get more context rich information when the reader needs it or requests it. They want community interactions to influence results of what they are looking for to speed their quest. For example, if I read a white paper on the latest improvements in Oracle's Exalogic, then everyone else from my company should benefit from the fact that 1) I found this as a content search, 2) I read it or more directly I downloaded it, and 3) I rated it or "liked it". 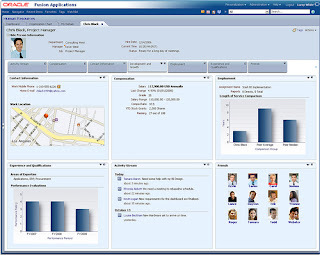 Oracle's WebCenter technologies includes an Activity Graph that enables all of these actions to be weighted to help influence what others see when they do a similar search. Another example would be when sales reps are finalizing a quote for a customer. At the time they compose the quote, they want the same type of "Ask the Expert" type features you see on most eCommerce sites on the public Internet. This has to be included within their existing Portals or Applications without a rewrite. 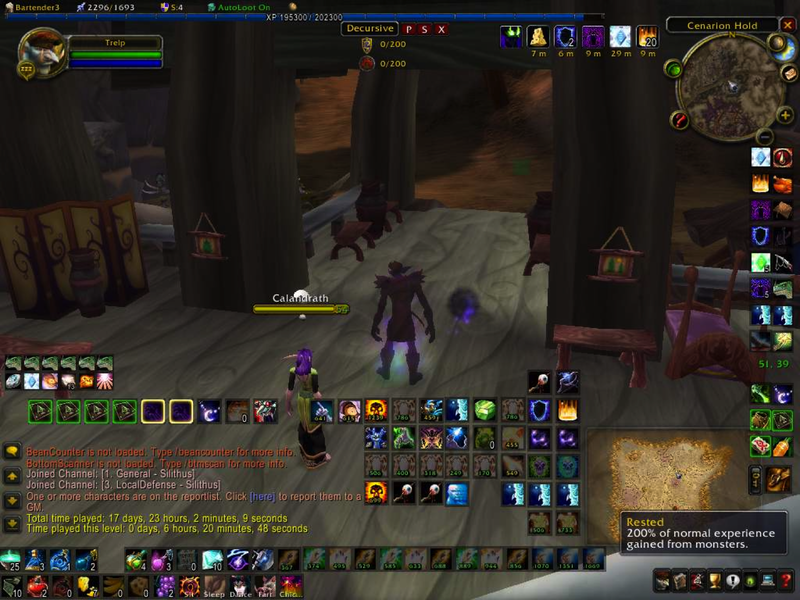 Now I'm not going to say that I'm an expert, but integrated in the application, you can see a chat at the bottom left, in the middle of the screen all the resources available are shown, in the top right you get a view of where you are in the "world", and there are quick keys to slide these things out of your way, if they get in your way. That's what customers are asking for in their daily work. They want the tools and people they need available to them when they are required. 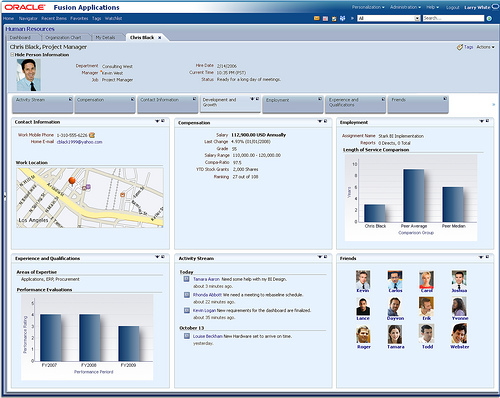 I encourage you to take a look at some of the HCM UIs for Fusion Applications as they embody this concept. All of this is made possible with the WebCenter technology stack. 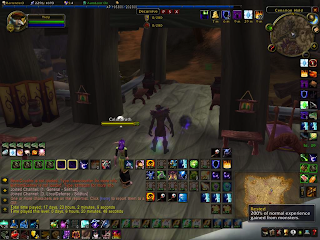 You can quickly see at a glance all the relevant items. This is my experience of what customers are asking for when they want social software brought into their enterprise. They don't need another distraction for their employees. This is my take on why the stand along social software products cause enterprises pause when they try to compute ROI. Runs the Middleware and WebCenter Practices at Keste that includes Portals, Content, Composites, and Security. Prior to joining Keste, Vince was vice president of product management at Oracle for the Web 2.0 technology development, Enterprise 2.0, and portal products. His career at Oracle spanned 16 years, where he was one of the co-creators of WebCenter. He also had responsibility for managing the WebCenter development team handling the Web 2.0 and social computing services. Prior to this, he focused on hosted portal development and operations which included Oracle Portal Online for external customers, Portal Center for building a portal community, and My Oracle for the employee intranet. Prior to his portal work, he was Vice President of Tools Marketing handling all tools products including development tools and business intelligence tools. Before running Tools Marketing, he was Director of Product Management for Oracle's JDeveloper. Leading up to Oracle, Vince spent 7 years at Borland International where he was group product manager of Paradox for Windows and dBASE for Windows. He holds a bachelors degree in Biochemistry from the University of California, Los Angeles.